Here at PropDog any customer with an account automatically gains reward points when they shop with us online or in-store. 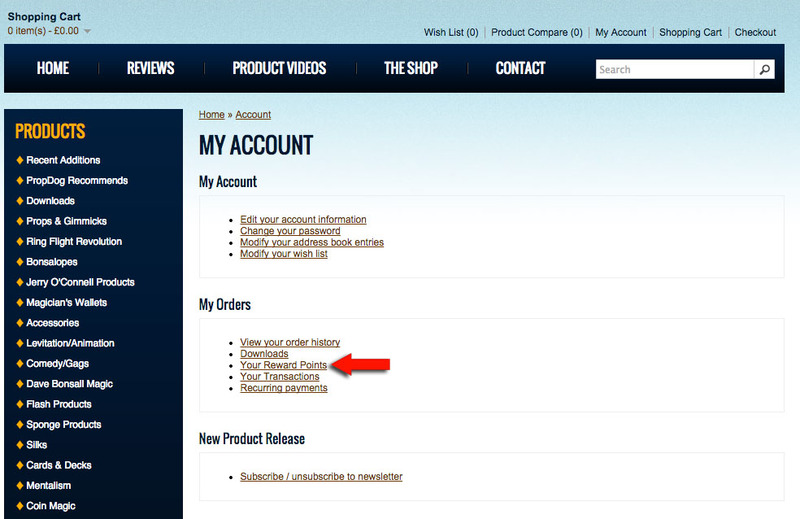 These points can be used to receive discount on future orders. This guide will show you how to check your reward point balance and redeem your points. 1 Reward point is earned for each £1 spent (excluding VAT). 100 Rewards points are equivalent to £5.00. Please note that reward points cannot be used to pay for shipping. Also they cannot be earned by paying for shipping. 1. 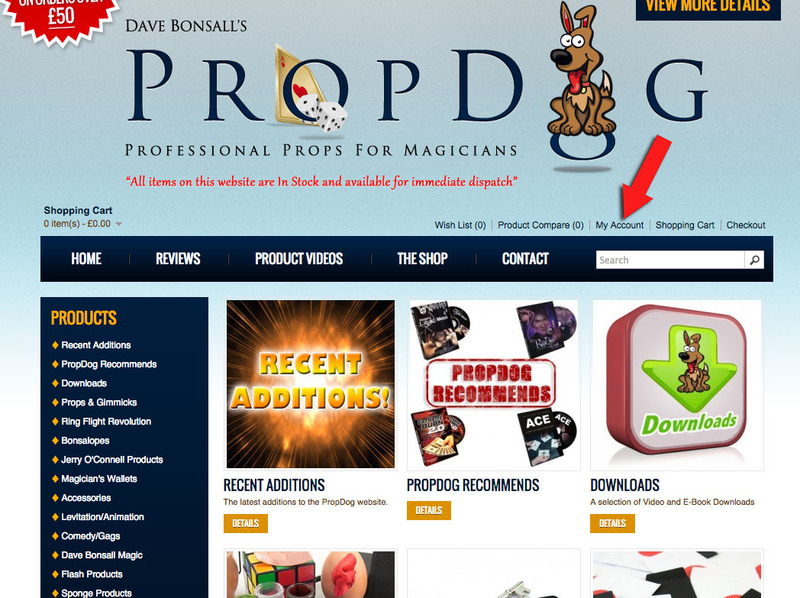 Click on the ‘My Account’ link in the navigation bar at the top right of the page as indicated in the image below by the red arrow. 2. Providing you are logged into your account, you will now see the ‘My Account’ panel. Click on the ‘Your Reward Points’ link situated in the ’My Orders’ section of the page as shown by the red arrow in the image below. 3. Now you will see the ‘Your Reward Points’ page. Your points balance is displayed at the top as indicated by the red arrow in the image below. In the table below you will see the history of all of your orders and how many points you earned in each transaction. 1. To redeem your reward points go into your shopping cart. 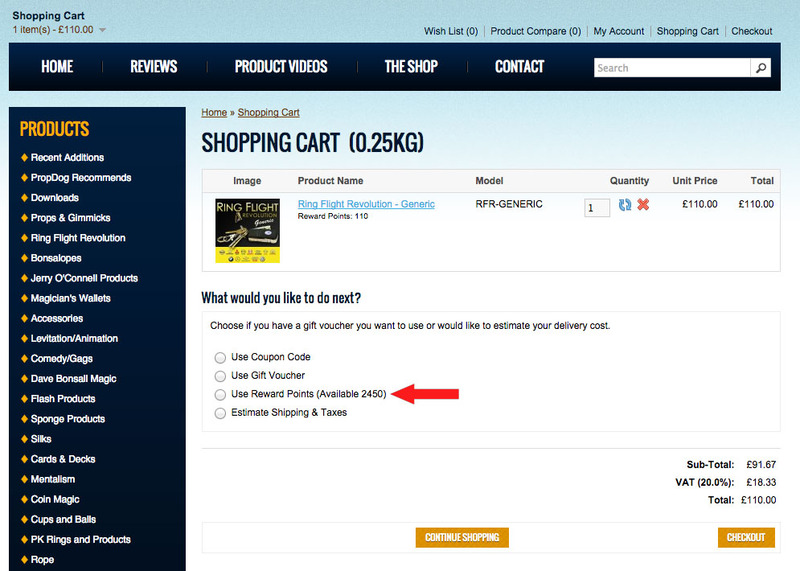 The ‘Shopping Cart’ link can be found at the top right of the page as indicated by the red arrow in the image below. 2. Providing that you have an item(s) in your shopping cart, You will see the ‘What would you like to do next?’ section below your selected item(s) in your cart. 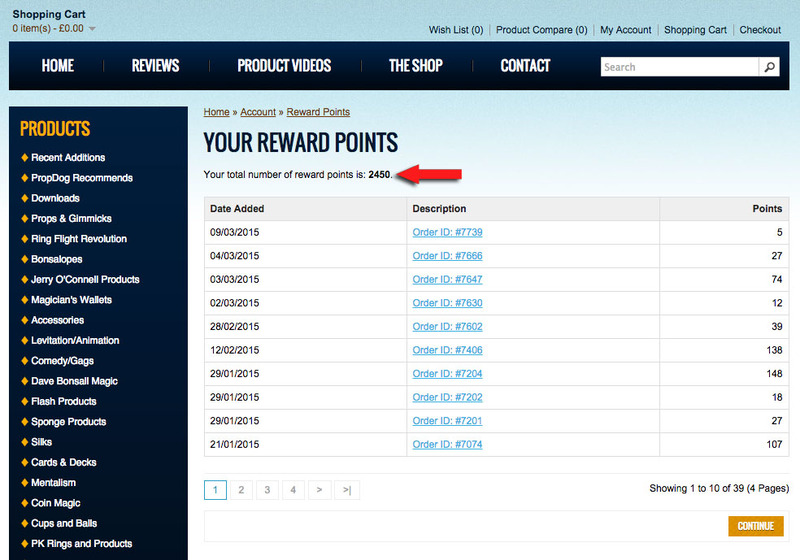 Select the ‘Use Reward Points’ button as indicated in the image below by the red arrow. 3. After clicking the ‘Use Reward Points (Available 000)’ button (1 below) , you will see the ‘Points to use (Max 000)’ field will appear (2 below). Simply type the desired amount of points that you would like to use into the field, then click the ‘Apply Points’ button (3 below). 4. You will now see the Reward points that you added have been applied to your bill as indicated in the image below by the red arrow.